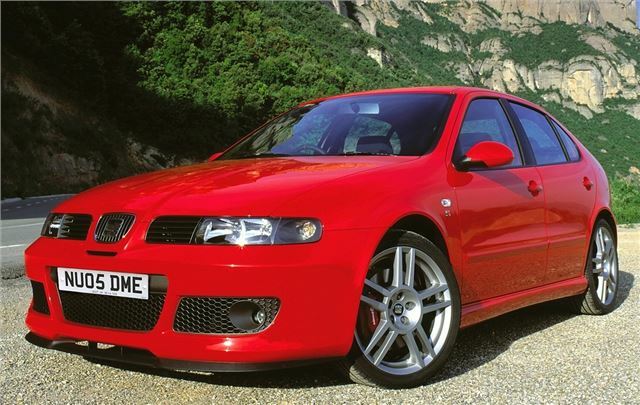 5 Stars for 20v and Cupra. Best looking, best handling car on Golf IV floorpan, with 35mpg economy potential. 130 and 150PS diesels. Only 3 stars for 1.6 and 4 stars for 90 and 110 diesels. 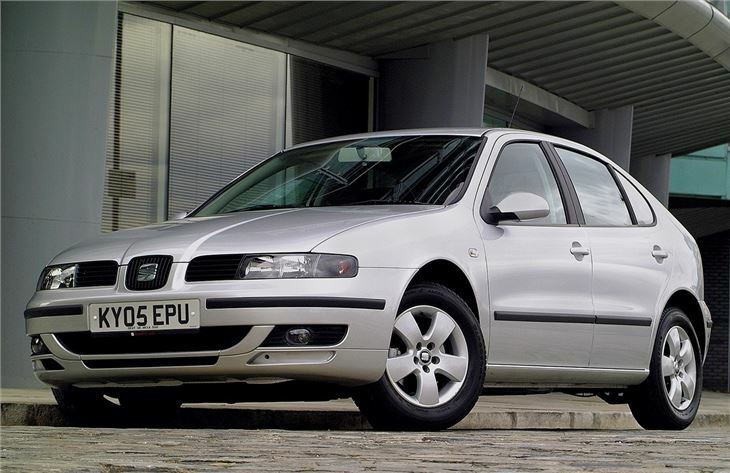 Report of 200,000 miles with very little trouble from 2001 SEAT Leon Cupra R.
The car I liked so much I bought one. Why do I love the SEAT Leon 20VT so much? We go back a long way together. To Aviles in November 1999 and a memorable drive with George Fowler of The Star through the Cantabrian Mountains to the city of Leon itself. On that trip, on a long, straight, deserted stretch of two-lane blacktop, we hit 235kph (147mph). Not bad for a VW Golf-sized five-door, five-seater hatchback. Now obviously not many of us are going to risk these sort of speeds in Mr Blair's slowed-down, begatsoed Britain. We just like to know the potential is there. And the long gearing of 25mph per 1,000 rpm in 6th also gives potential for remarkable 43mpg economy at motorway cruising speeds. Good car if you can find a well maintained reliable one. Which will be getting harder now.